A lovely touch by the TAMS who presented three of our hard working volunteer gardening team with some plants as a thank you for all their hard work! Pictured are the Captain of the Seniors’ Team, Brian Robson, with Senga Brown, Val McKean and Sue Yates. A special thank you also goes to Andrew Thomson who is standing down as the ‘Captain’ of the Gardening Team. 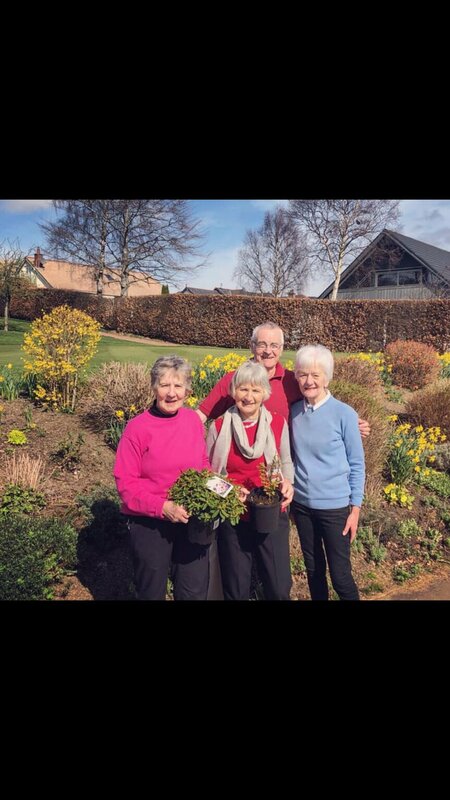 The hard work of all the Gardening Team is appreciated by the TAMS as they step on to the first tee every Thursday morning!